TALENT ZONE Consultants is one of the most sought after names for Outsourcing Services in Karnataka. We offer our Outsourcing Services for both foreign contracting as well as domestic contracting. Moreover, if you are planning for relocating a business function to another system, TALENT ZONE Consultants are always there to help you at every single step. With our Professional Outsourcing Services, a lot of corporate companies have benefited and saved on time and money. 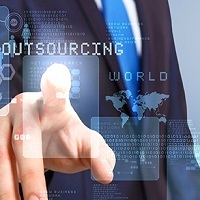 In this way, we always ensure Better return over interest with our Outsourcing services.